Artificial Reef Society of British Columbia’s president Howard Robins, however, has argued from the start that an artificial reef would greatly increase the marine activity in the Bay, creating a new habitat in an area damaged by decades of log-booming activity. Now it appears that the Ministry has reconsidered, on the condition that the project must pass an additional approval process. 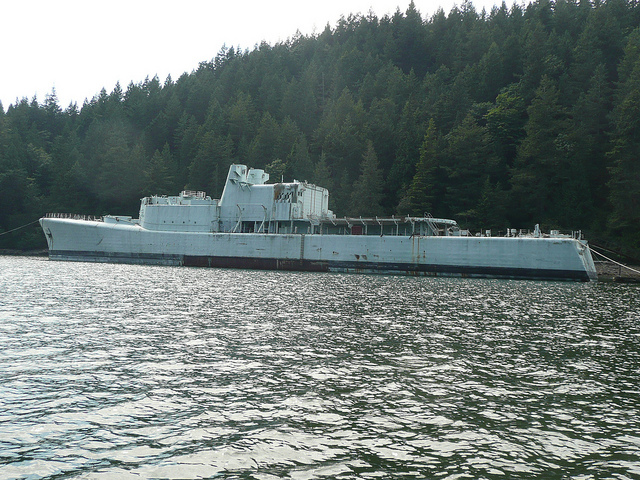 On April 04 2015 the HMCS Annapolis found its new home on the bottom of Halkett Bay, Gambier Island.